Join me as we discuss the foundational nutrients of good health! We’ll cover protein, essential fats, vitamins and minerals and touch on the importance of the gut microbiome and how to keep it healthy! I’ll be covering more advanced material in later seminars, but starting wi th the basics never hurts! In this seminar we’ll be exploring the psychology, neurology and biochemistry that hijacks our brains and makes us eat the foods we know aren’t good for us. We’ll talk about some supplements that can help, mental tricks and tools you can use, understanding addictive foods and how to keep your brain on the straight and narrow so you can improve your health without getting side-lined by relentless cravings. It’s not about willpower! Register here to get all the details! Yes! 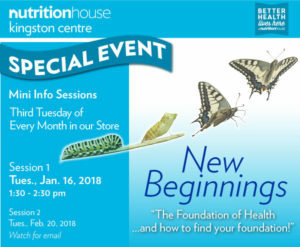 Register me for the FREE webinar on Managing Food Addiction! If you don’t know what your microbiome is, then it’s time to learn. Modern medicine has finally proven what we holistic health practitioners have been saying for years, that the bacteria in our intestinal tract is VITALLY important to our health and in fact, many, many diseases are linked to an unhealthy array of bacteria in our intestines.Good health starts in the gut! Thankfully, simple dietary and lifestyle habits can keep our intestinal tract full of healthy, strong bacteria and help us THRIVE instead of just survive. If you don’t know how to take care of your microbiome, chances are you’re doing damage without even realizing it. Simple changes can go a LONG way when it comes to the microbiome, so I don’t want ANYONE to miss out on this information. Coming Soon! Date to be announced! Thinking of going KETO? Consider this..